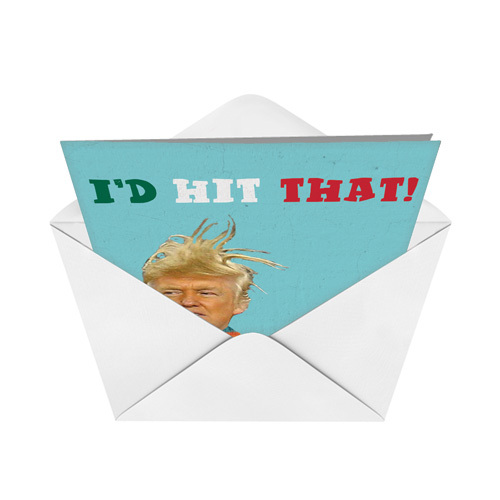 Cover Reads: I'd Hit That! 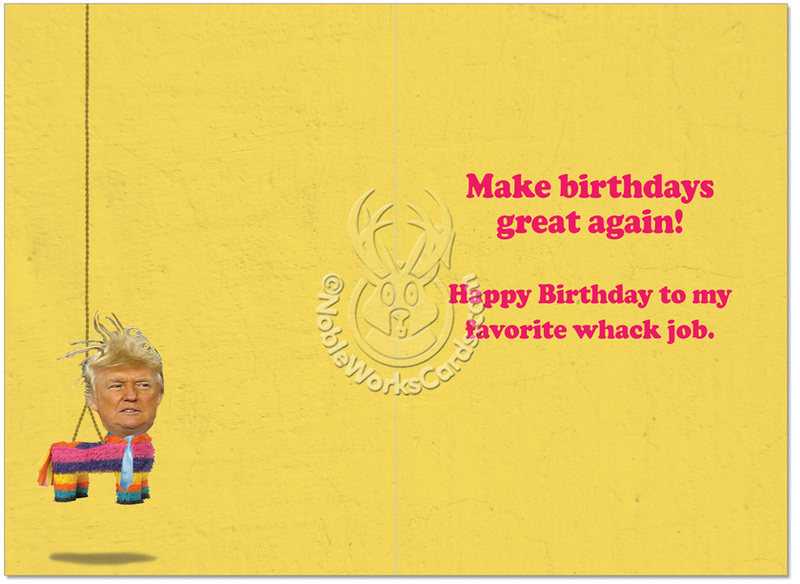 Inside Reads: Make Birthdays Great Again! Happy Birthday To My Favorite Whack Job. 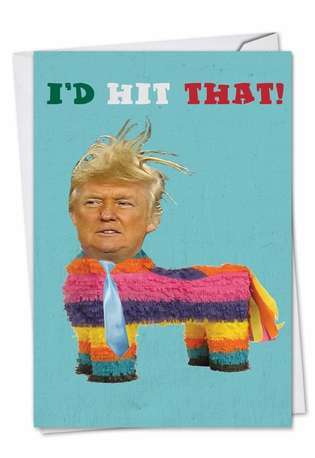 Trump gets the pinata treatment on this Birthday Joke Card from NobleWorks. With his trademark giant orange head and hair and now a rainbow-colored ruffled body, The Donald is hung up ready to be whacked. 'Make birthday's great again' by giving someone special this hard-hitting card for their birthday. Hopefully, Trump isn't full of crap. Credit: Art by RJM Licensing, Inc.